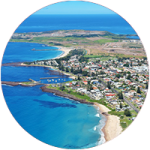 Responding to area demands, we offer training south of Wollongong in Shellharbour, New South Wales. Courses in Shellharbour are arranged for companies or group bookings. For further enquiries, please contact us directly.